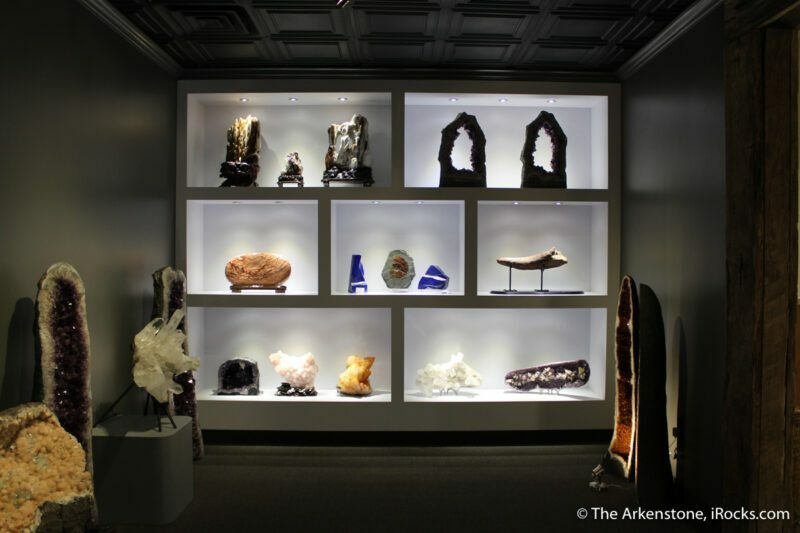 2017 brought a lot of changes to The Arkenstone. We added a new full-time employee (hi Tom Campbell! ), purchased several new collections (have you explored the Kay Robertson selections? 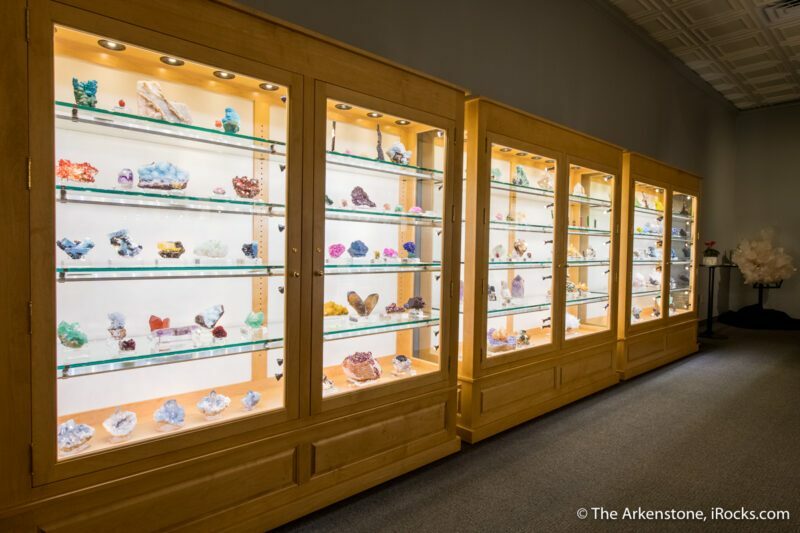 ), but most significantly, we moved to our new headquarters featuring over 7,000 square feet of mineral display space and plenty of other new features for new enthusiasts and long-time mineral lovers. 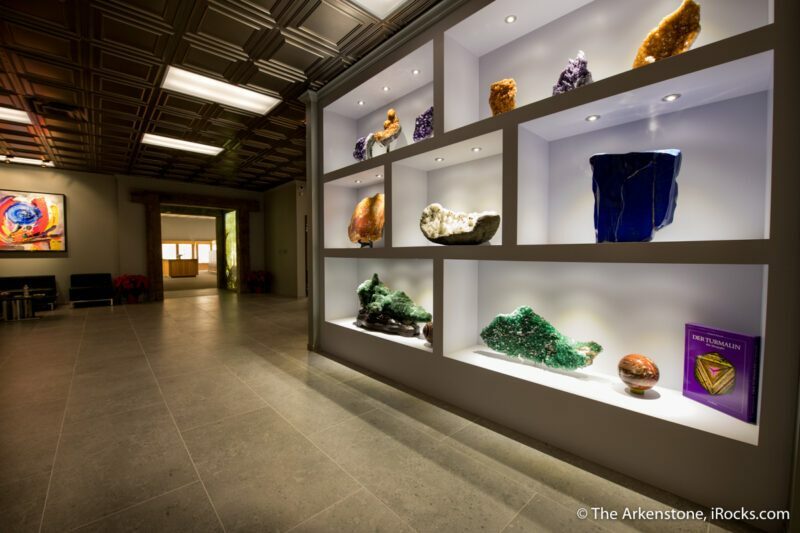 Large decorative pieces, important lapidary art (lapis), and amethyst are featured in the front lobby. 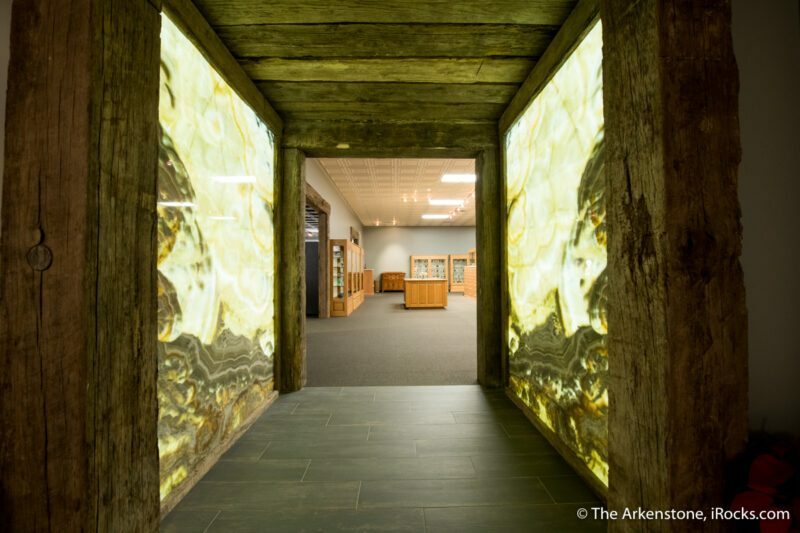 A pair of backlit Persian onyx slabs totaling 2,200 pounds and nearly 6,000 pounds of reclaimed 150-yr old Northeastern red oak timbers line the mine shaft "Portal" into the gallery. 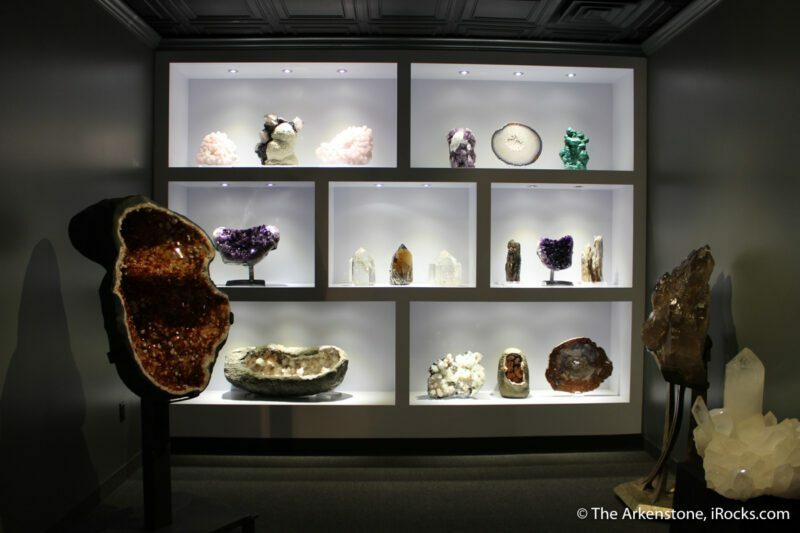 Fine minerals from around the world are for sale in the gallery. 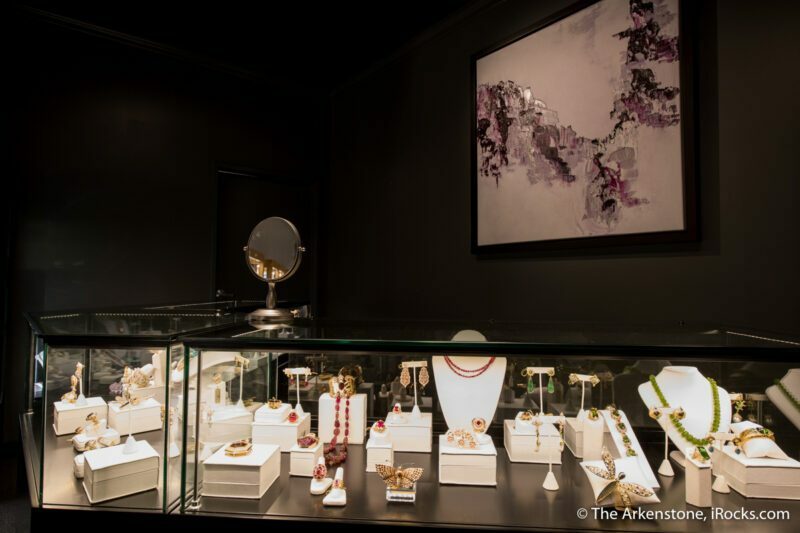 Our new Gem & Jewelry Salon is ready for visiting jewelers for events and trunk shows. 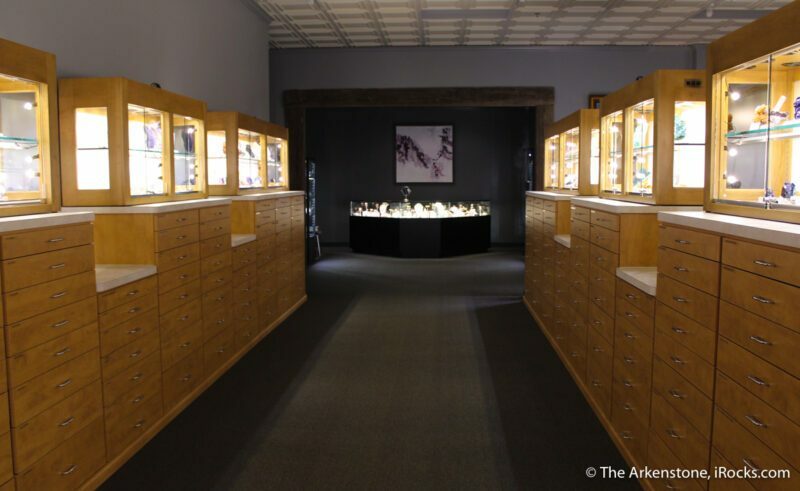 The Jewelry Salon connects natural crystals and the wearable art that results. 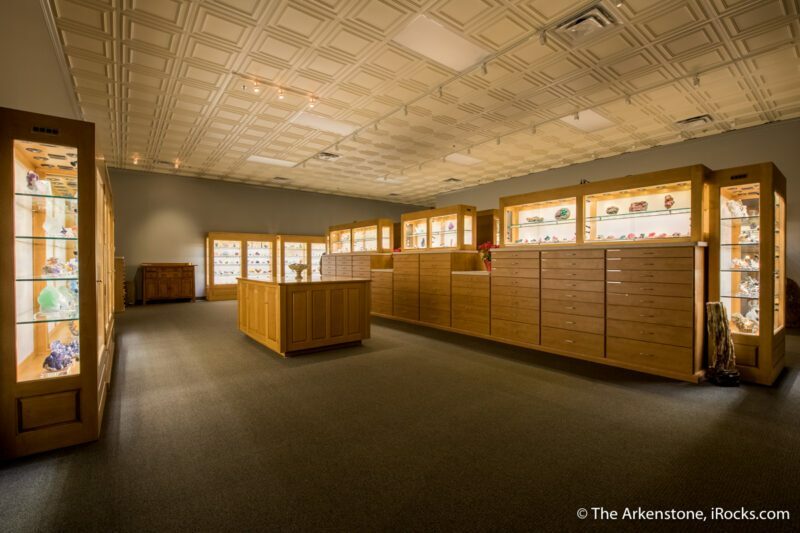 If you're looking for larger home or office accents, visit our Design Showroom. 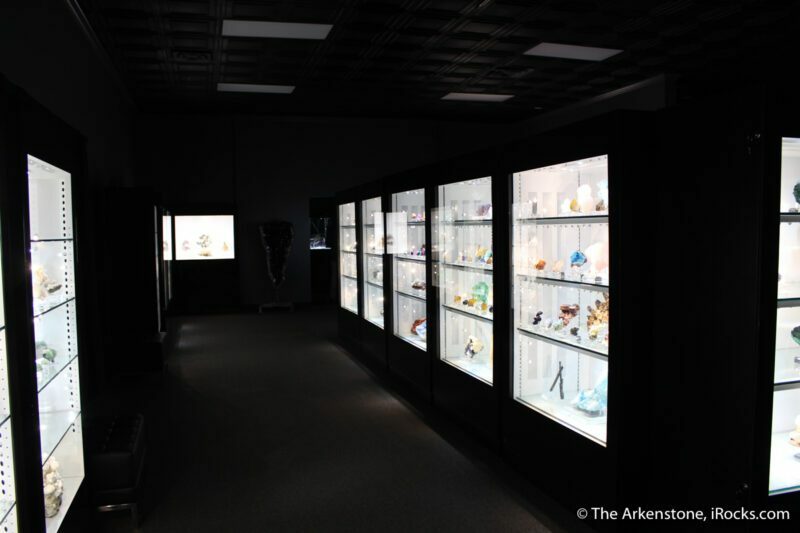 Sleek black pedestals display large museum-sized specimens. 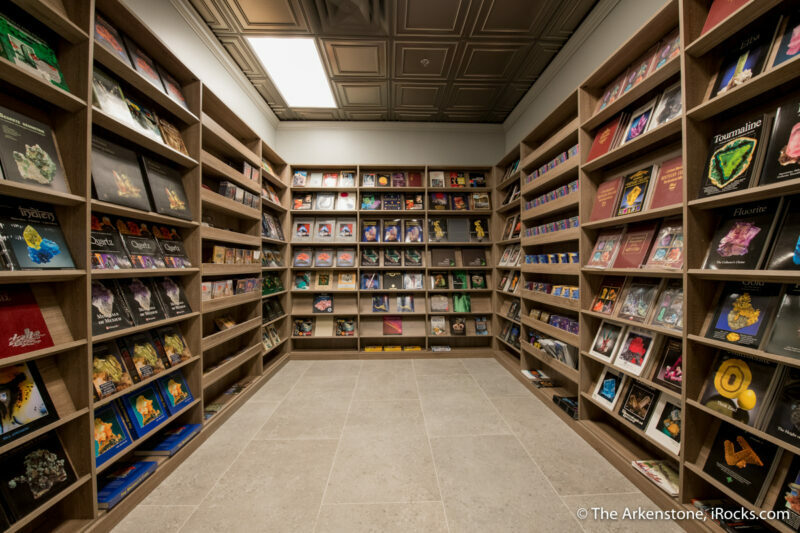 Add to your library with our selection of literature, including rare and out-of-print volumes, periodical issues, DVDs, and more. Looking for something specific? E-mail us at info@iRocks.com. 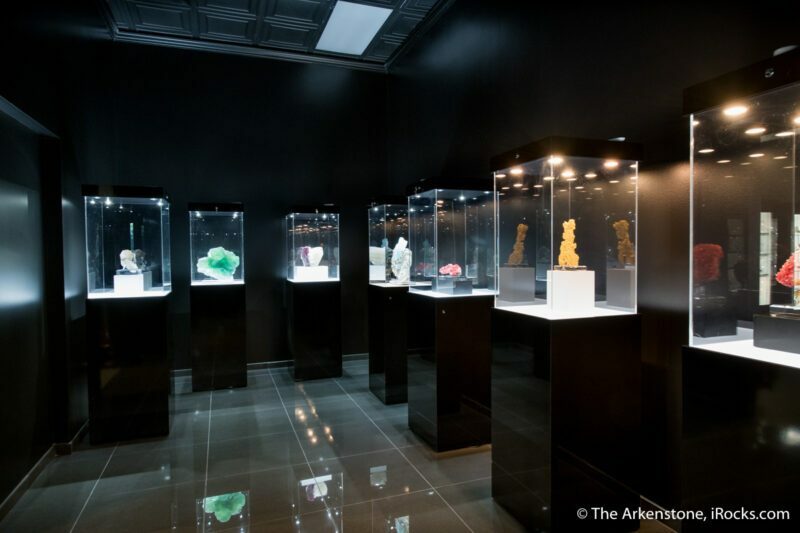 If you're in the Dallas area, send us an e-mail to schedule your private visit to info@iRocks.com.